When I was in Poland (in Krakow – Great place ! ), I met Joanna and Maciej, both CrossFit Coach, both working with Lucyna, who was teaching CrossFit in the Polish peninsula of Hel, in the North of Poland. Everyday, they teach CrossFit classes on the beach, for free, for everyone. 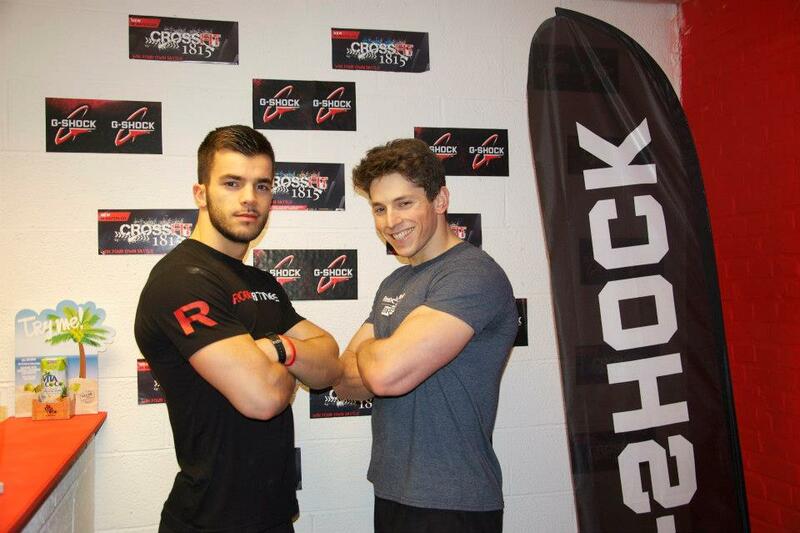 Just to promote the Sport of Fitness ! As Lucyna says “a whole summer under the sign ‘CrossFit everywhere and for everyone’“. An awesome job that deserves to be presented on SportisEverywhere.com !! 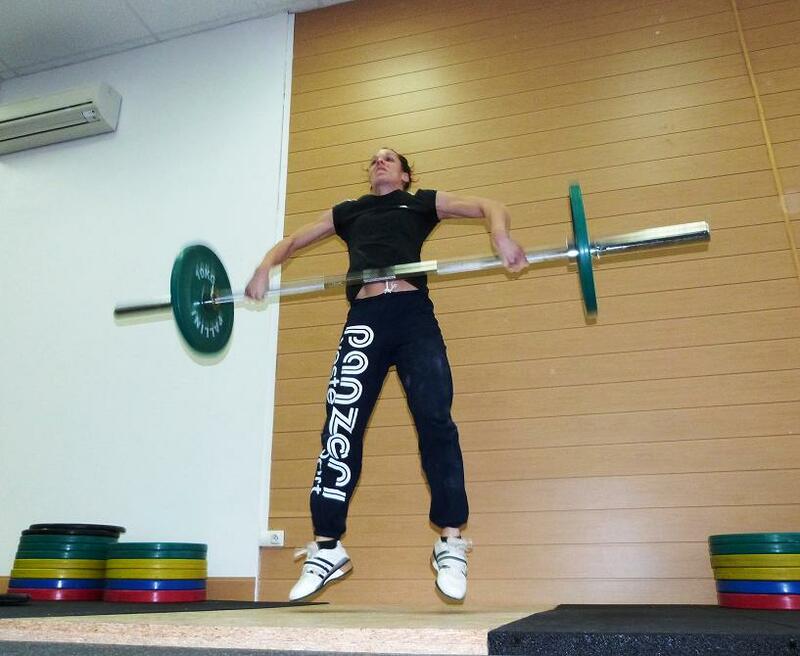 Lucyna Kiszczak : I’m a level 1 CrossFit instructor, self defence and skiing instructor. My adventure with sport started when I was 11 with martial arts. 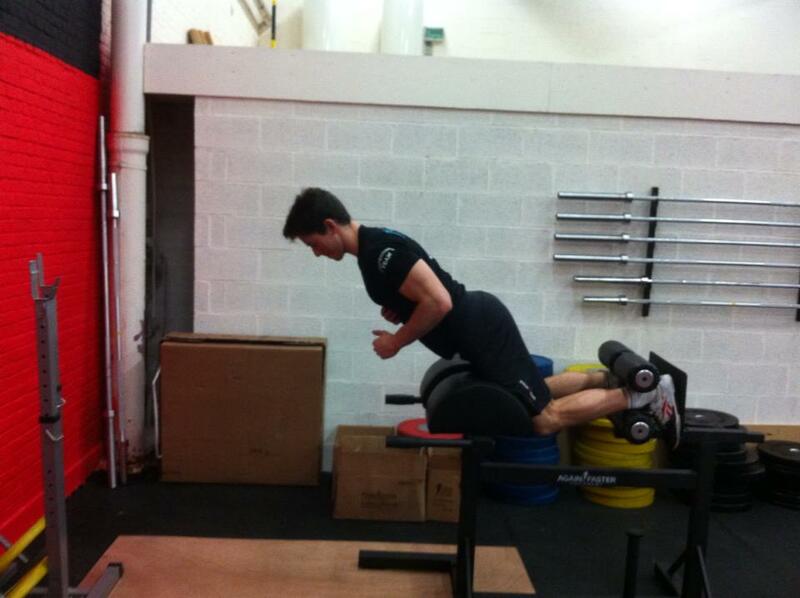 Currently I own the sport and consulting company called Twoj-Trening.pl (Your-Training). My team consists of truly amazing people – my long-time friends and great trainers. Together, every day we try to show people how much the quality of their lives can improve with exercise, healthy diet and being a part of sport community. Twoj-Trening.pl was born out of passion and ideas. It is defined by personalities of the trainers. Last two years were the time of so many really interesting projects! We’ve significantly evolved our system of personal trainings, created 3-level fitness program for women called Viatlity and also introduced our own medical fitness program PreMed. We organized and took part in many popular events in Poland promoting active lifestyle. It was really rewarding to see the positive feedback we got from the attendees. We’ve been CrossFitting for almost two years now. 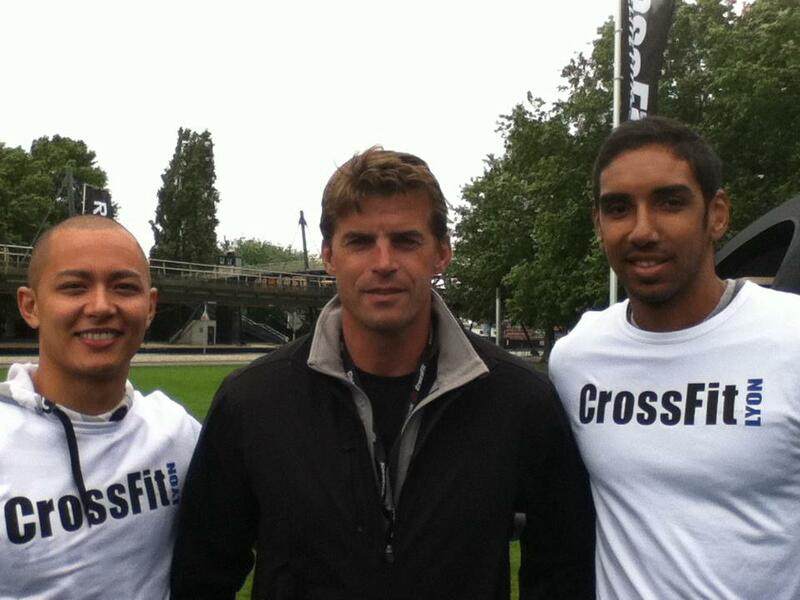 In April 2011, together with one of my trainers Maciej Szczudrawa we’ve completed CrossFit Level 1 Instructor course. To be honest, at first I wasn’t sure if CrossFit isn’t a too aggressive form of a fitness for ‘average people’ but after getting some experience I started to really discover it for my clients and myself. I was amazed by the power of the CrossFit community, the wisdom of its methodology, the quality of the CrossFit Journal and most of all by its consistency and effectiveness. Now when I’m telling people that I’ve been doing various sports for last 17 years I can honestly say that CrossFit is the best fitness program I’ve ever done. I think it’s the perfect combination of sports that can be adapted to any person with any kind of fitness needs. 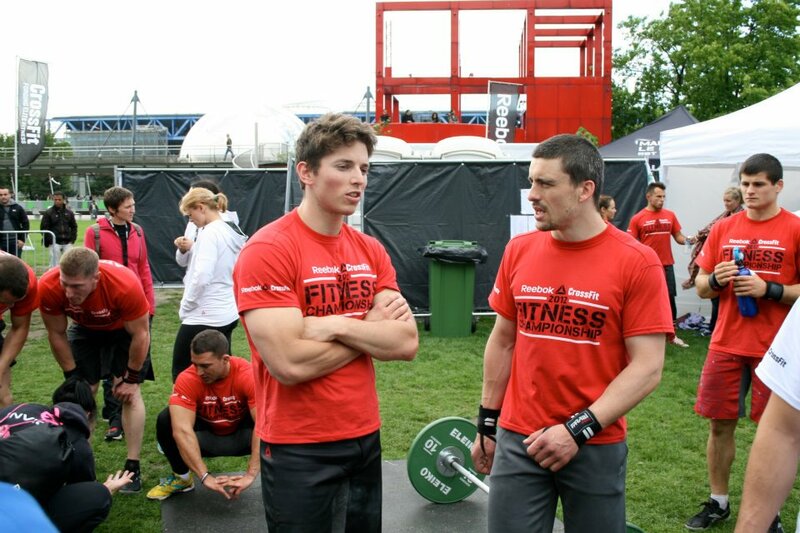 My company operates mainly in Cracow where we’re partnered with the first affiliated Polish CrossFit box – CrossFit Mjollnir and together we promote the idea of CrossFit in Poland. This summer we even took it to gorgeous Polish peninsula of Hel ! More details following. 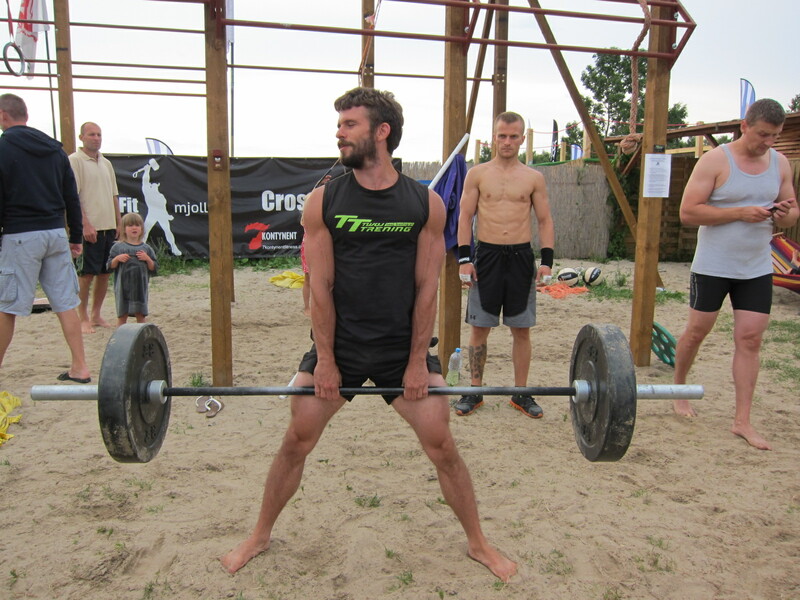 SportisEverywhere.com : Can you present how CrossFit is growing in Poland ? How Polish people perceive that new kind of Fitness ? 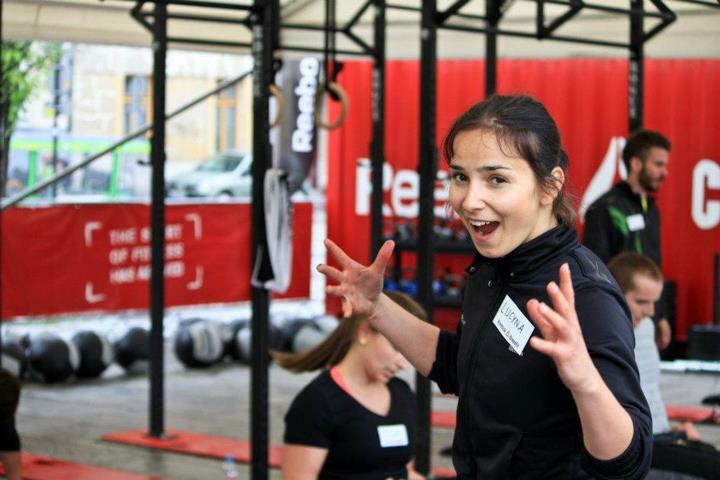 Lucyna : CrossFit is growing very dynamically in Poland though it’s not yet entirely understood. 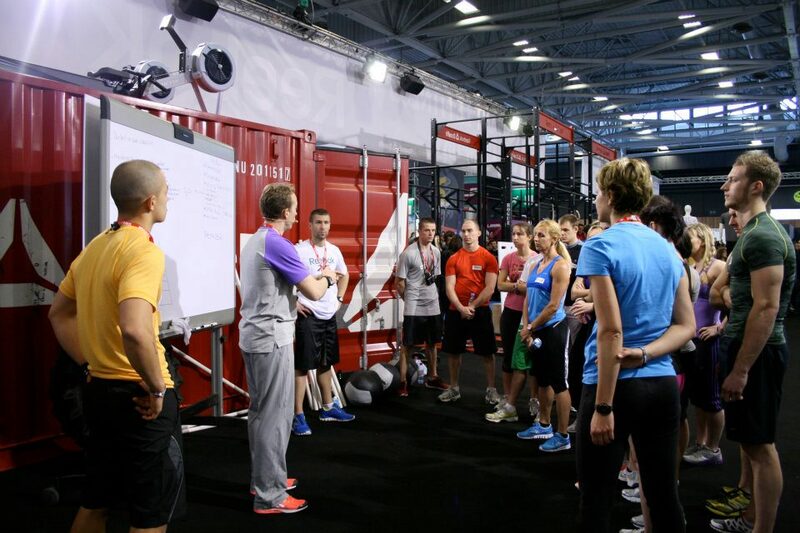 Many fitness clubs ask about ‘weekend introduction to CrossFit’ because they want to include its classes into their offer. Also many people ask how they can start with CrossFit. 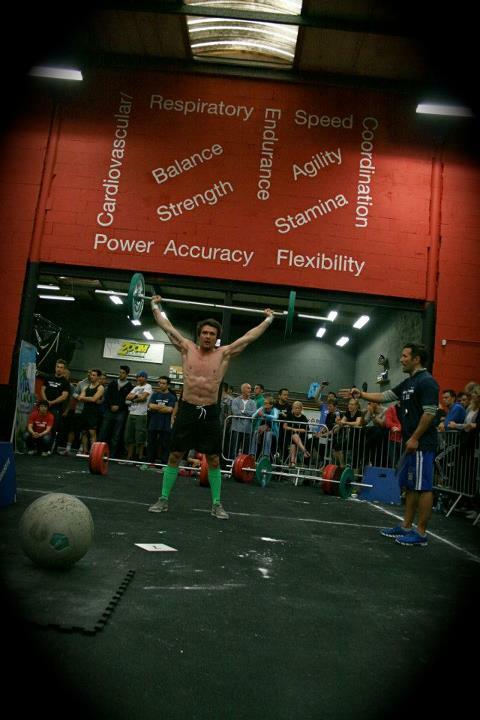 We spend much time explaining and showing that CrossFit is a great adventure that can bring great satisfaction and loads of fun but it requires time and respect especially at the beginning. 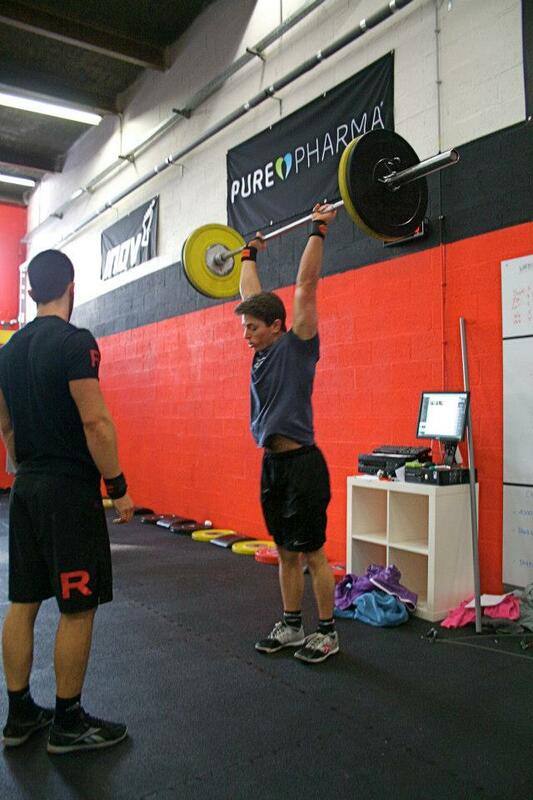 But the most important part is that our clients still regularly fall in love with CrossFit ! 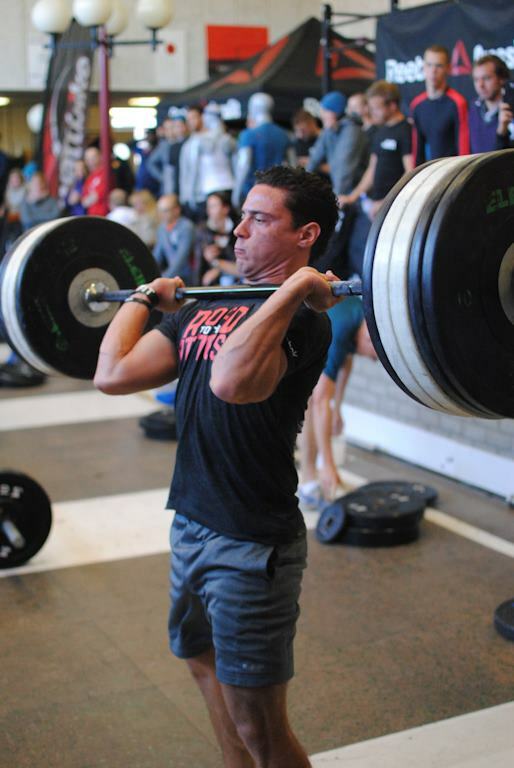 They discover how wise, effective and addictive it can be and very quickly start to admire CrossFit community. I think that Poland was really lacking the form of fitness that could engage both men and women, give them professional ways to protect their health with sport and diet and be fun at the same time. Sometimes after the first training people are coming to me super excited and surprised how great the workout and the atmosphere were and how they have loved this sport immediately. SIE : What are you doing now in Hel ? Why there ? Who’s training there ? How many people are you training ? 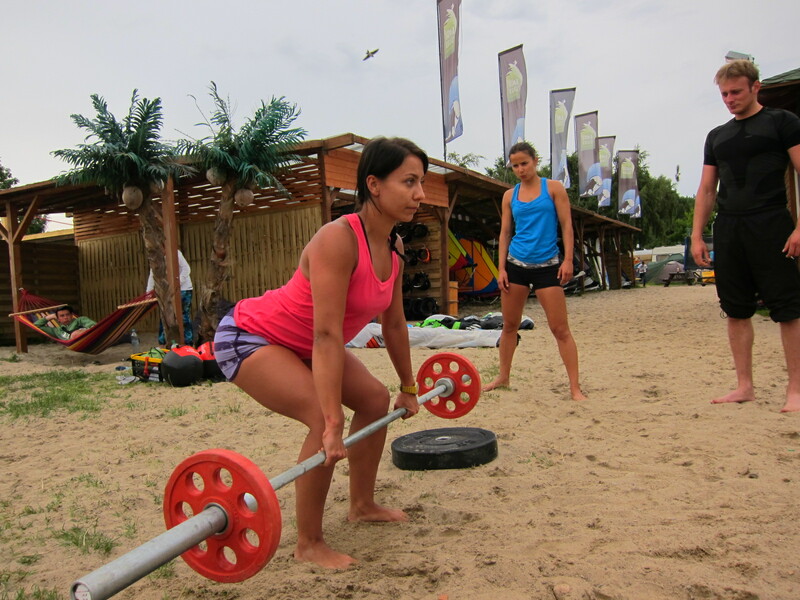 Lucyna : We thought we’ll bring CrossFit to the Polish coast. At the camping site Chałupy 6 at the Hel peninsula we’ve spent whole summer under the sign “CrossFit everywhere and for everyone“. This area is known for being a popular holiday destination for people from the whole Poland who love sports, especially for wind- and kitesurfers. 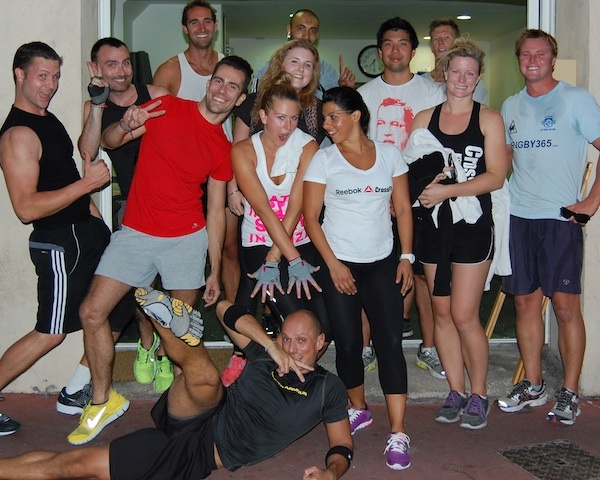 We were training with the Hel’s guests among whom were also BJJ and MMA players. 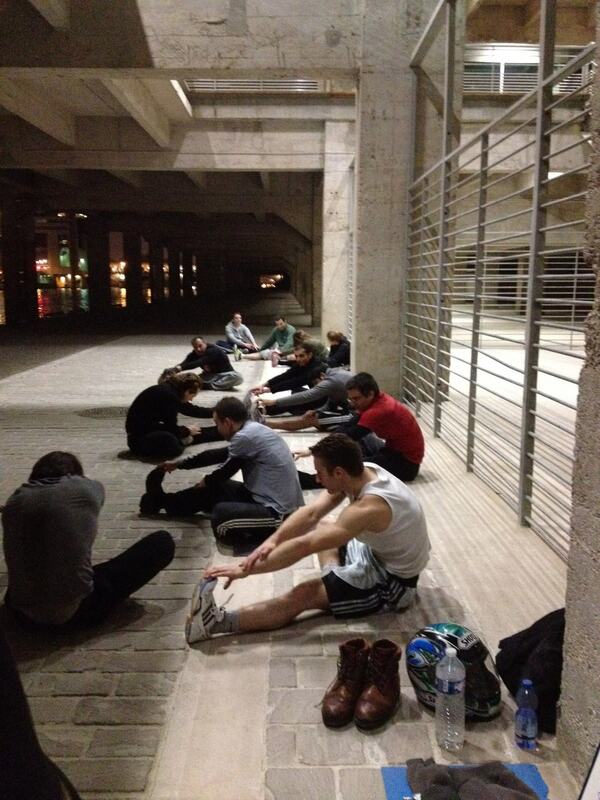 Thanks to scaling of the trainings everybody could take part no matter how fit they were. 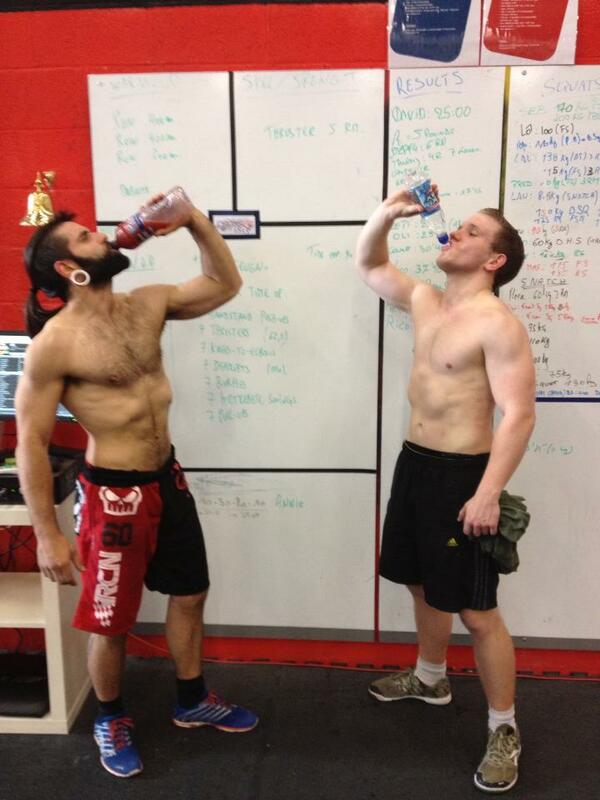 CrossFit really brings people together! The camp site Chalupy 6 supplied us with all necessary CrossFit equipment and the seaside atmosphere only helped with training motivation. The events were free of charge and we spent over 120 hours on discussions about CrossFit and paleo diet with people from all over the country. It turned out that CrossFit plus sun and sea have truly magnetic powers. People were very eager to participate and they asked loads of questions. 2 summer months brought us over 450 attendees! SIE : At Sportisverywhere.com, we really like the idea that we can do CrossFit everywhere, can you explain how do you prepare your workouts on the beach ? Lucyna : It’s quite simple. Training’s content depends on how many people show up and what level of activity they represent. Usually the group was very diverse – from holiday makers to really tough players. 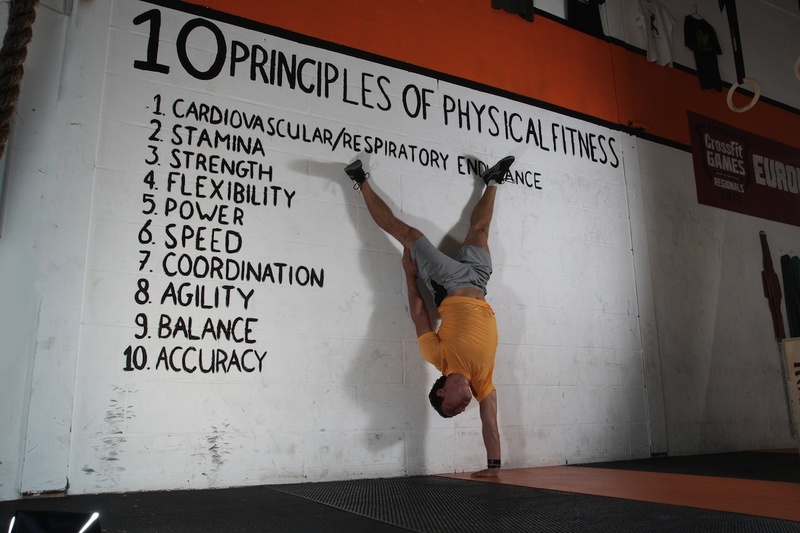 Every training begins with functional warm-up that contains all important elements of typical CrossFit warm-ups and develops skills such as balance and coordination. I try to make them fun – after all it’s holiday time for our attendees. 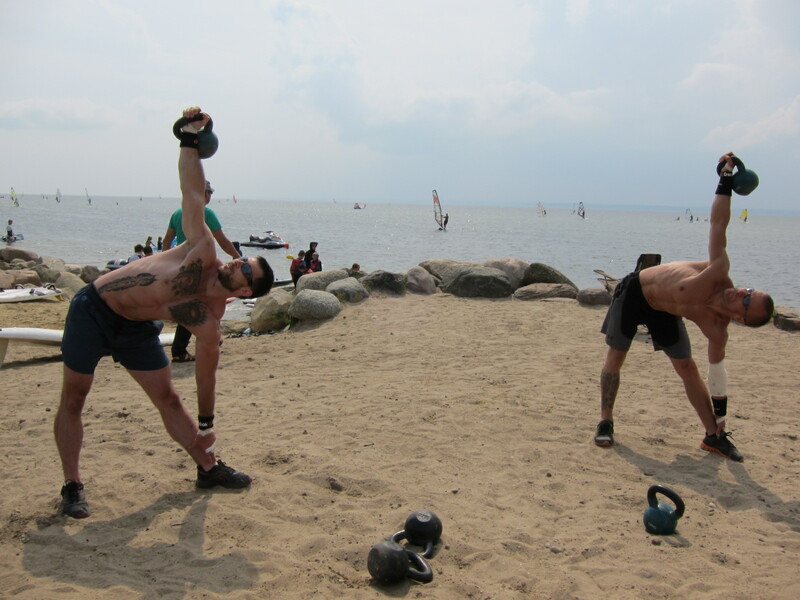 During the training we use kettlebells and pvc tubes instead of barbells, (we don’t introduce any advanced techniques because of recreational character of these trainings), bars, lines, med balls, rings, sand bags and of course the whole beach! Beach trainings obviously attract kids’ attention who later try to repeat the exercises and are going crazy on bars and lines in the CrossFit box which greatly improves their physical abilities. Working out on the beach means also training in beautiful surroundings and… very difersified weather conditions as weather on Hel can change few times per hour. 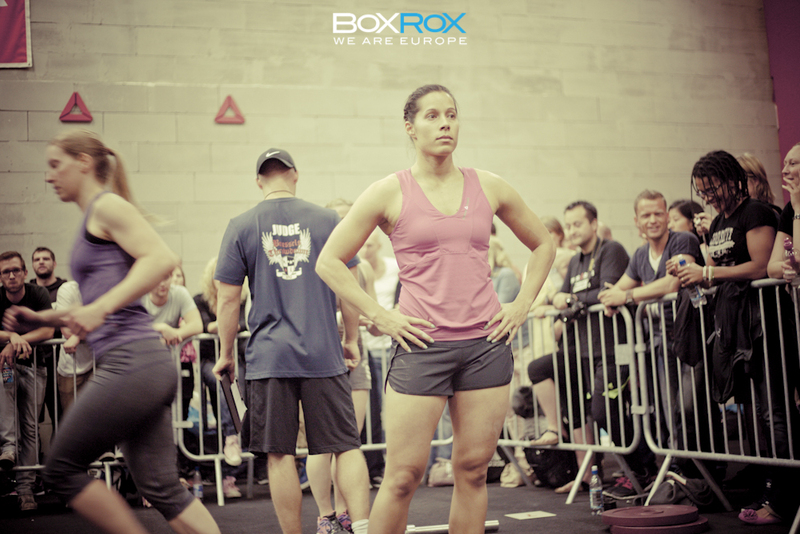 Attendees were usually very relaxed since they’re on vacation but also determined to give everything they’ve got during WODs. SIE : Is it easy to promote a paleo diet in Poland ? What are the the difficulties (if there is difficulties) ? Lucyna : Paleo diet attracts lot of attention here because of its scientific basis and great impact it has on health and looks. Of course for many people it’s rather shocking to put the food pyramid based on carbohydrates upside down. Lot of them oppose giving up the whole-grain products such as bread and pasta and of course sweets and alcohol. However the solid scientific background still makes them want to try paleolithic diet, especially that it starts working so quickly! Humans generally feel better without sugars and processed food, they have more energy, slimmer bodies and are better at sports. I talk to people every day about paleo, I send out information and food recipes. They tend to not believe at first, but then they share their first positive experiences and it’s so rewarding to see how the quality of their lives is improving! 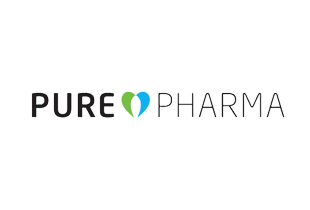 SIE : What are your projects for the future (new gyms, competition…) ? Lucyna : In the approaching season I’ll focus on trainings and further development of my company. Surely the milestone will be the opening of the CrossFit box in Krakow, which will make teaching and learning CrossFit much easier. My dream is to open a club in the northern Poland. It’ll surely require lots of effort but I’m positive that it’ll work out ! Among my other goals are getting the Level 2 CrossFit Instructor certification, taking part in more CrossFit courses and improving my scores in WODs. 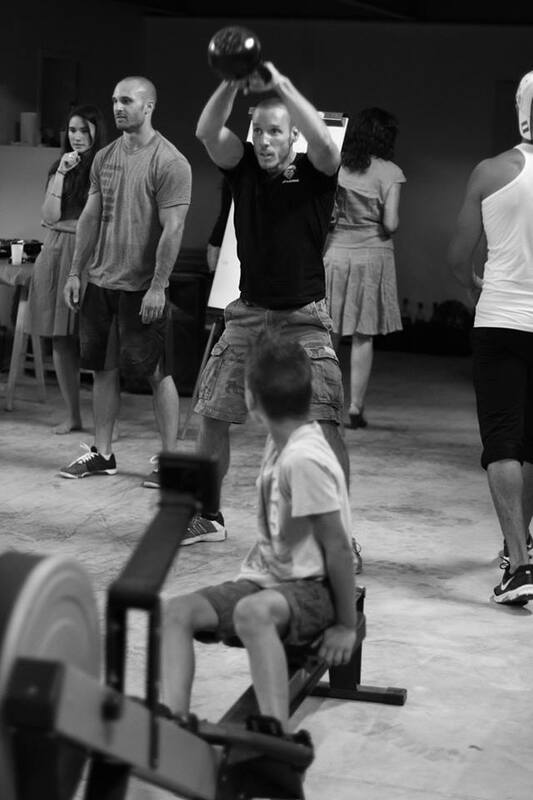 And most of all I want my clients, my team and myself to have as much fun with CrossFit as possible! Fred (Coach) : Au cours de ma formation BPJEPS AGFF, avec les intervenants Ludovic GAVIRA et Anthony BAPTISTE. 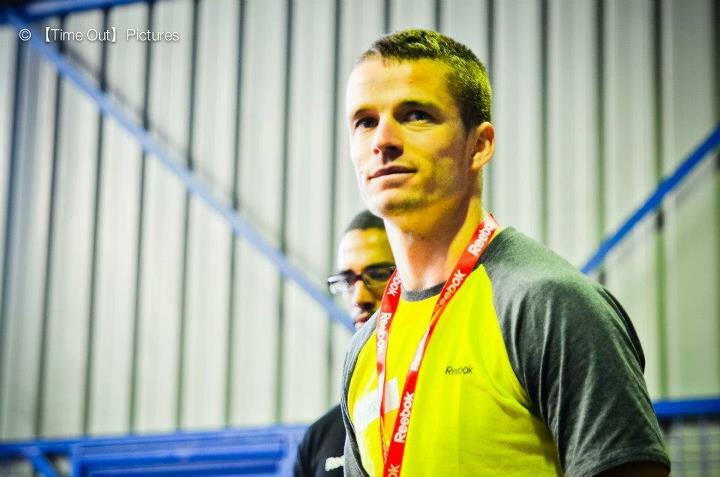 Marv (CrossFit Level 1) : Lorsque j’étais militaire, en mission à l’étranger, mon Patron (Maître Nicolas V.) nous a fait découvrir cette nouvelle manière de faire du sport et de s’entrainer. Quel est votre parcours sportif et professionnel ? Fred (Coach) : Joueur de rugby à 13 pendant 27 ans, senior entre 1997 et 2011 (professionnel entre 2002 et 2009) et entraineur professionnel entre 2007 et 2009. 16 sélections en équipe de France avec un titre de champion d’Europe. 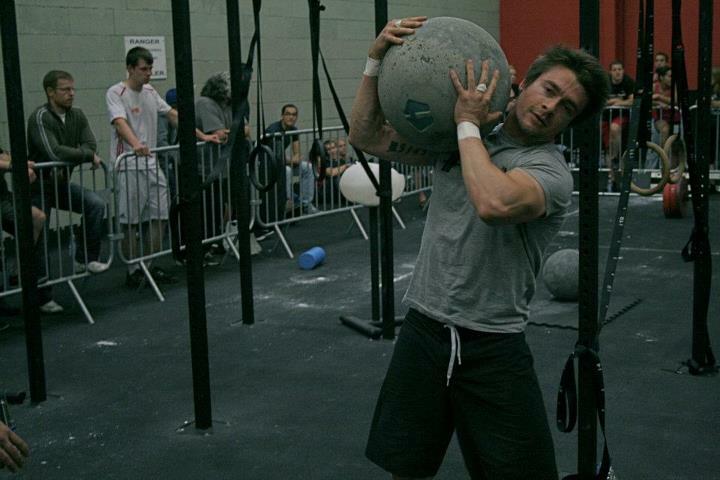 Marv (CrossFit Level 1) : Jusqu’à 2007 j’ai pratiqué le roller de vitesse. De 2007 à cette année j’ai servi dans la Marine en tant qu’ Officier Marinier chez les fusiliers marins. Avez-vous pratiqué d’autres sports auparavant ? 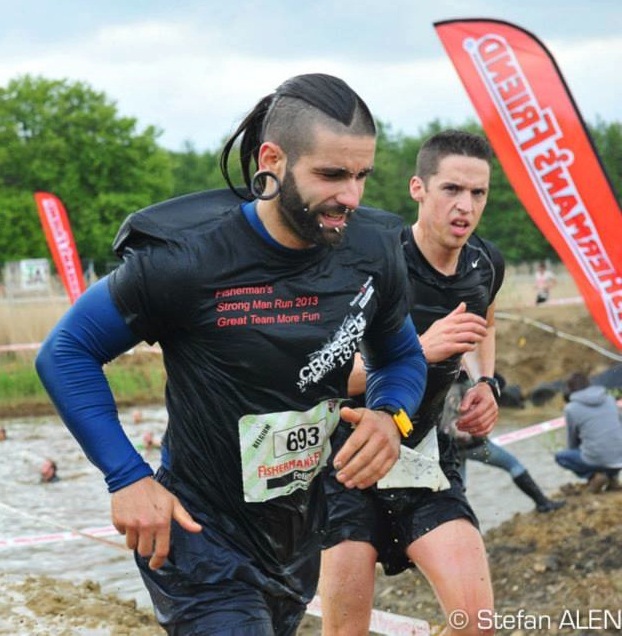 Marv (CrossFit Level 1) : Un véritable touche à tout : escalade, vtt, plongée et chasse sous marine, beaucoup de course à pied, Jiu Jitsu brésilien, un peu de boxe et beaucoup de méthode naturelle…Marine Nationale oblige ! 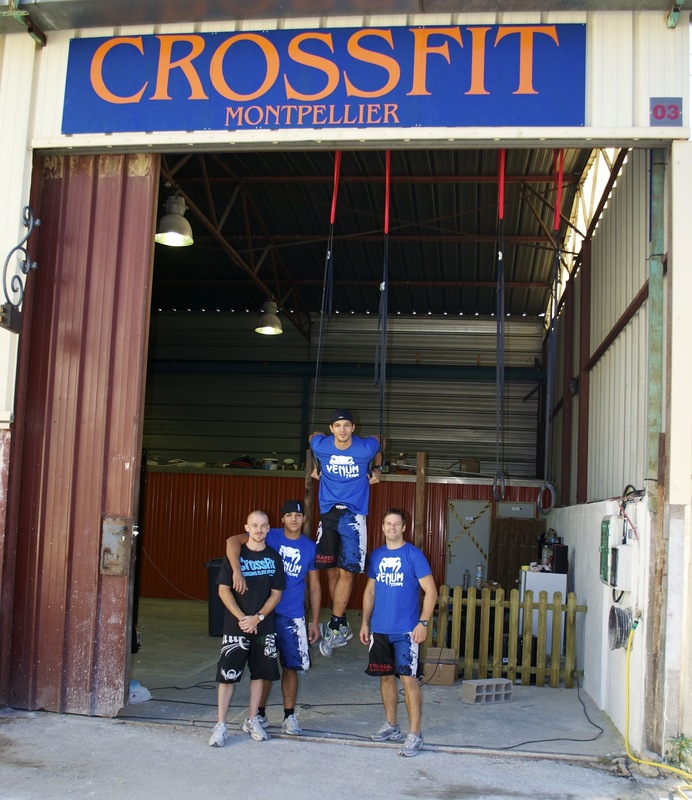 Pouvez-vous expliquer l’historique de CrossFit Montpellier ? Comment le projet a-t-il démarré ? Qui seront les coachs ? C’est un projet un peu égoïste à la base, en rentrant de mission, je me suis retrouvé à faire les WOD dans une salle de Musculation traditionnelle. 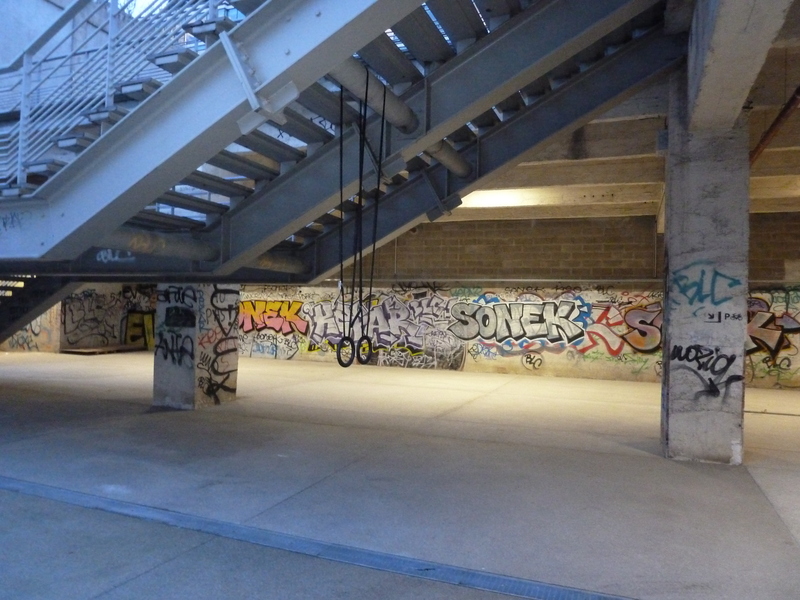 En parallèle, j’ai commencé à me documenter, j’ai beaucoup lu sur le sujet, et de fil en aiguille j’ai tout simplement décidé d’ouvrir une salle sur Montpellier, pour pouvoir enfin faire des WOD sans être pris pour un extra terrestre et pour pouvoir jeter ma barre sans risquer de choquer quelqu’un… Je me suis donc naturellement inscrit au Level 1 à Milan en Juin 2011 et quelques mois plus tard la salle est née! Pour ce qui est des coachs, on sera deux, Fred et Marv. Pouvez-vous présenter votre “box” : matériel, superficie, cours spécifiques, jours/heures d’ouverture, etc. ? La box fait 180m2, avec vestiaires. C’est un entrepôt qu’on a aménagé au minimum, on voulait garder l’esprit rustique qu’on retrouve dans les premières salles. On a tout ce qu’il faut pour la pratique du CrossFit, dès la première commande on voulait que tous nos adhérents puissent faire le même WOD en même temps. En gros, au minimum 10 exemplaires pour les barres, les abmats, les cordes à sauter, les plyobox ! 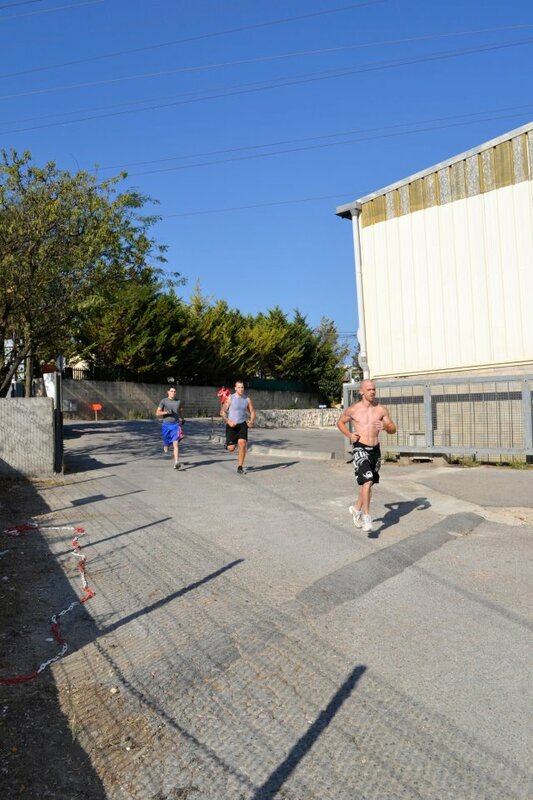 Concernant les heures d’ouverture et les cours, on a des heures de Fondations où on voit les mouvements de bases et les mouvements plus compliqués qu’on peut retrouver dans le CrossFit, on part sur une base de 3h minimum, notre priorité c’est la technique, s’il faut aller jusqu’à 6h pour que la personne ait une technique correcte, on le fera ! On propose des heures en accès libre l’après midi, pour ceux qui ont déjà validé les mouvements devant les coachs. Lorsque vous rencontrez quelqu’un qui ne connaît pas le CrossFit, comment lui expliquez-vous de quoi il s’agit ? Fred (Coach) : je dis quelque chose comme : c’est un mélange de gestes utiles qui sont issus de la gymnastique et de l’haltérophilie, et que la méthode a pour but de vous rendre un athlète de votre quotidien, que vous ne subissiez pas les difficultés de la journée mais que vous les affrontiez bien préparé. Marv (CrossFit Level 1) : En général les grandes lignes : des Mouvements fonctionnels, à Haute intensité, et constamment variés. On essaye également d’expliquer aux gens qu’il y a quand même une certaine logique dans la programmation (comme tu le fais avec Rudy Coïa dans votre échange. ), et qu’on va travailler une dizaine de compétences physiques comme : L’endurance, résistance, force, souplesse, puissance, vitesse, coordination, agilité, équilibre, précision. A un moment il faut arrêter de discuter ou de trop réfléchir et passer sous la barre ! On insiste surtout pour que les gens viennent essayer. 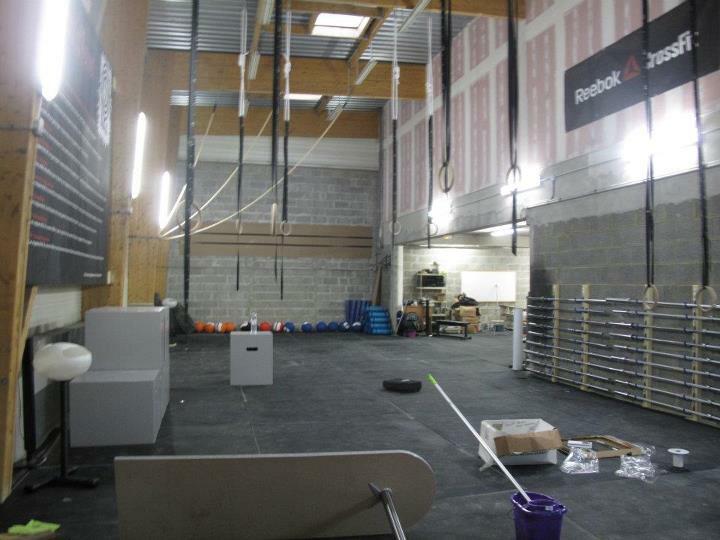 A quoi ressemblera un premier entraînement, pour un novice, à CrossFit Montpellier ? 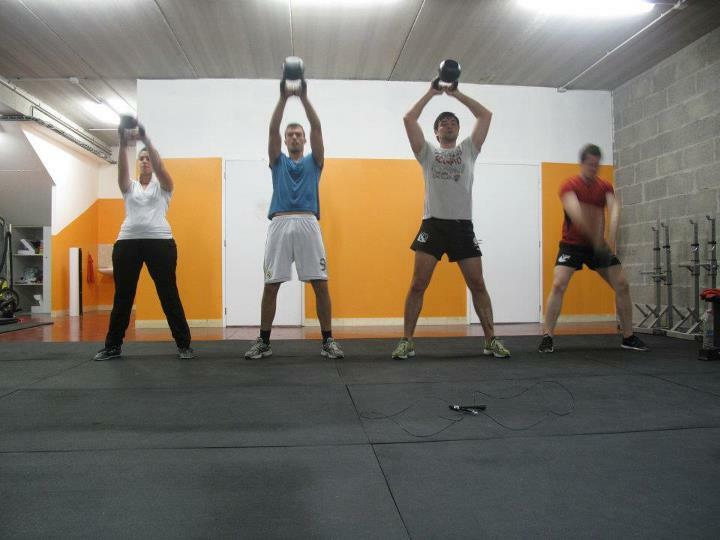 Pour un novice à CrossFit Montpellier, on lui fait faire une session découverte, un enchainement Air squat/Swing léger/Abmat sit-up en échauffement qui permet aussi de toucher un peu au kettlebell, et à l’abmat. 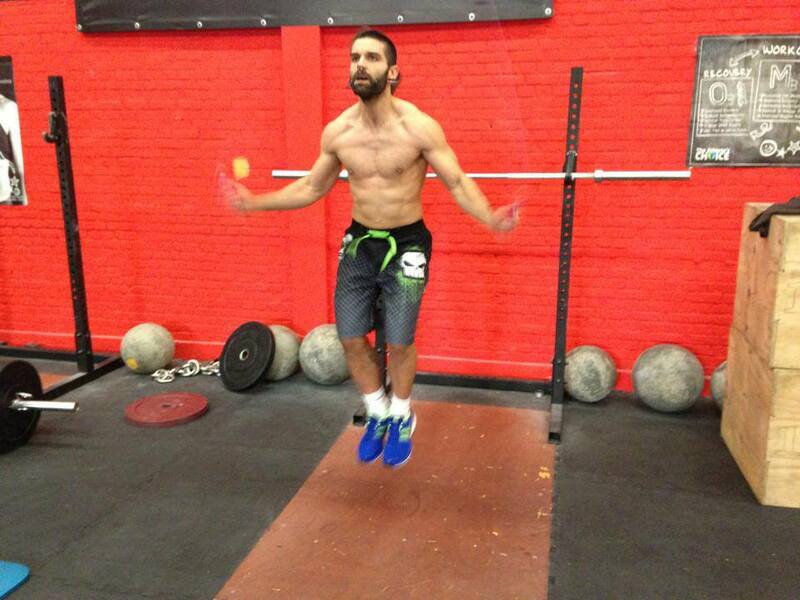 Et un petit WOD en 21-15-9. C’est vraiment pour introduire le concept. Une fois que la personne s’inscrit, elle part pour 3h de Fondations (nombre d’heures qu’on augmente en fonction de son niveau) avec un wod à chaque fin de séance où on met en pratique ce qu’on a vu dans la séance. Non car avec un minimum de motivation tout est possible! L’anglais n’est pas une barrière, j’en suis la preuve vivante. Après le problème est que personne ne suit, ni les banques, ni les organismes d’aide. Il faut tout faire seul. 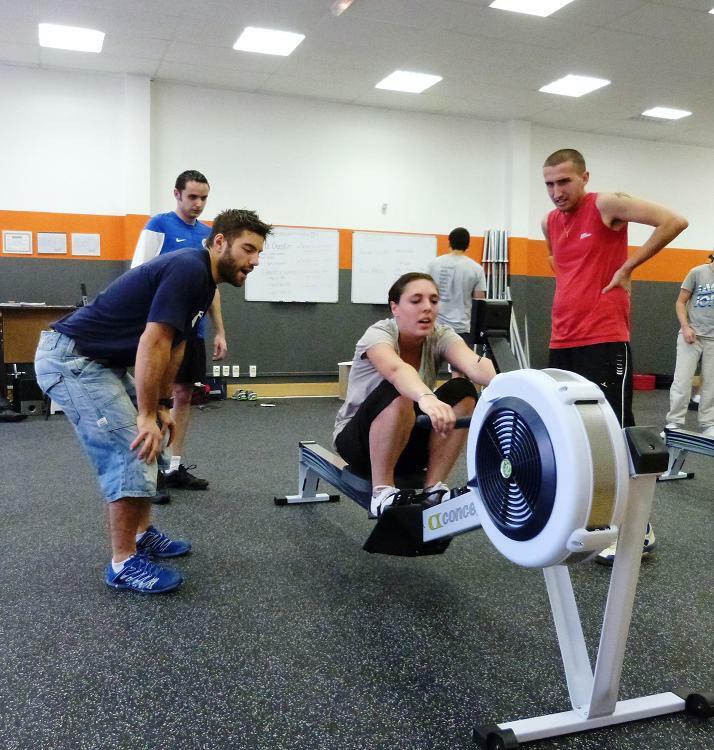 Oui de très bon contact, d’ailleurs, on est sur la même longueur d’ondes avec CrossFit Bordeaux que je salue ! 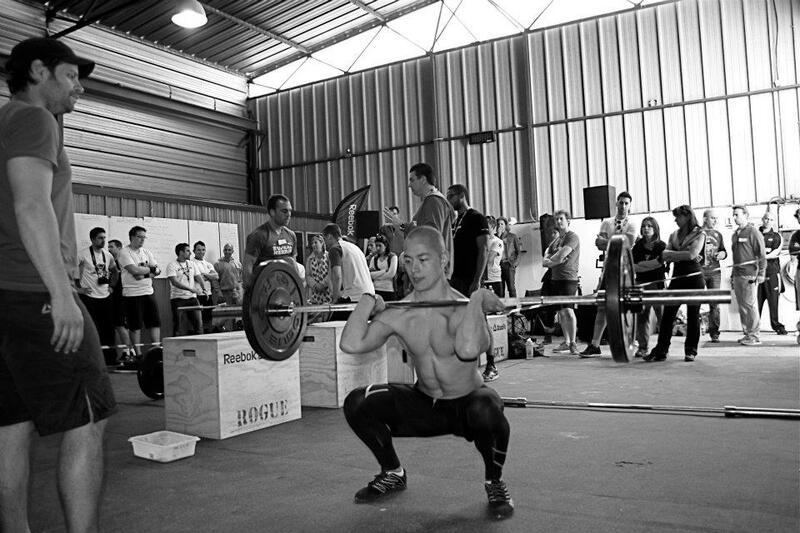 On a aussi des contacts avec d’autres personnes qui vont pas tarder à faire parler d’elles dans le milieu du CrossFit en France, toutes des personnes hyper motivées et avec qui on a de très bon contacts. 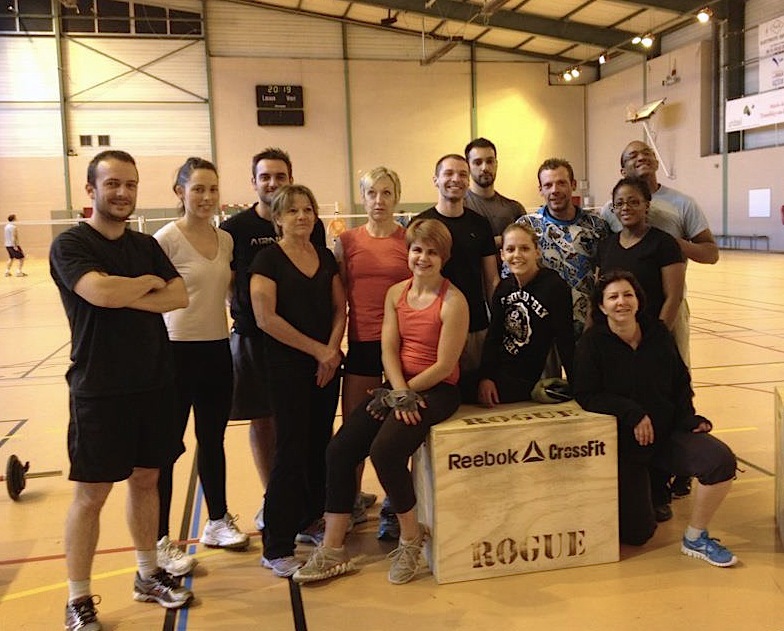 Et aussi avec le staff de CrossFit Brussels! Richard, Yves, et Jee avec qui on a bien rigolé pendant 1 semaine et qui nous a donné énormément de conseils ! 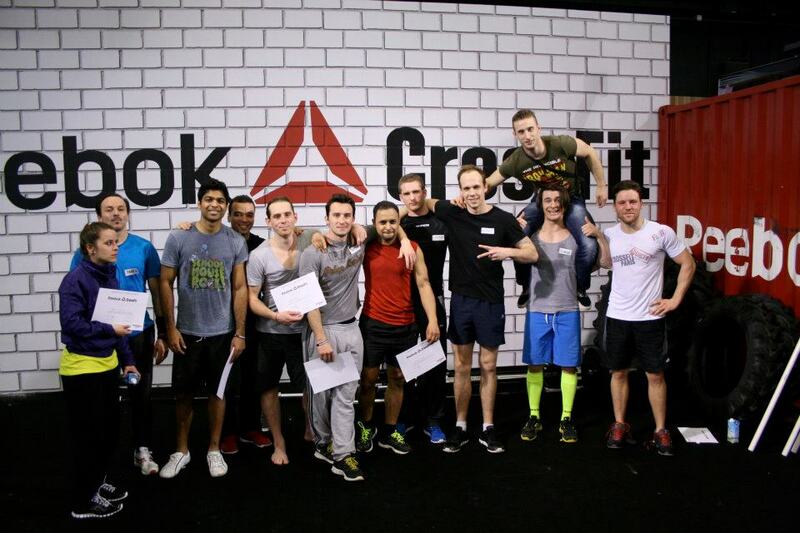 On a également CrossFit CapPop de Montréal qui nous ont proposé leur aide si besoin! 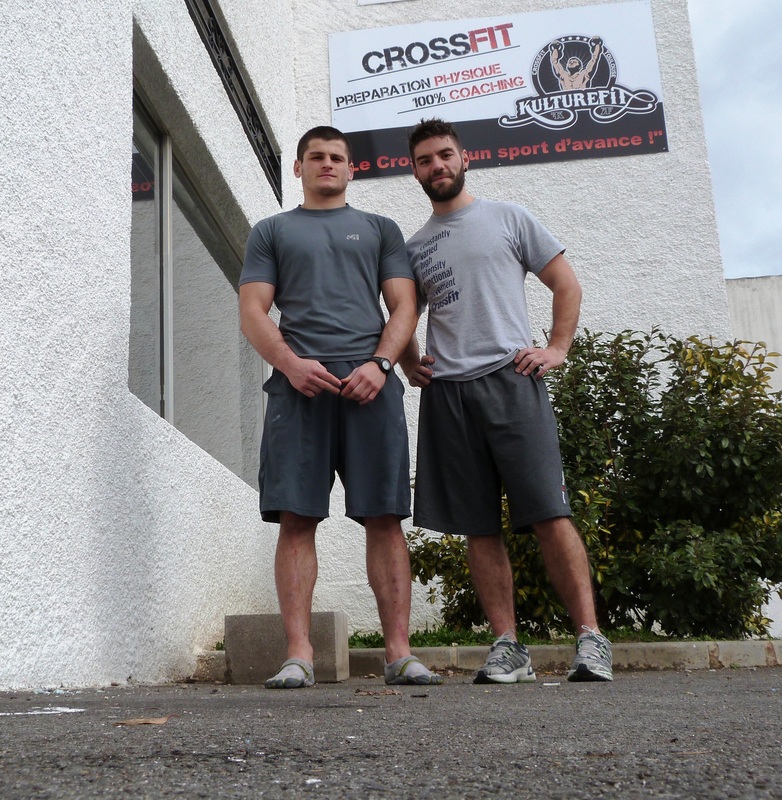 La communauté CrossFit dans toute sa splendeur. Oui on prévoit d’y participer ! Cette année ça risque d’être juste, Fred et moi étant en reprise après blessure. On essaye surtout de mettre en place une compétition francophone avec les différents acteurs. 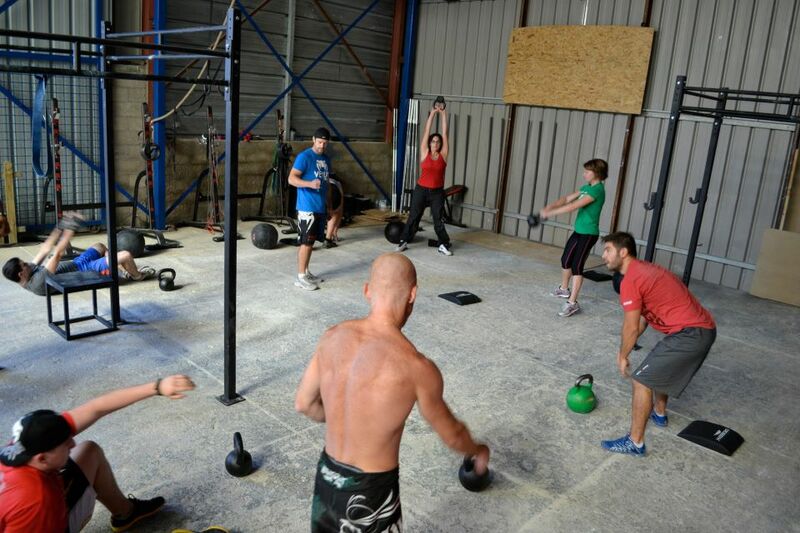 CrossFit Brussels, CrossFit Bordeaux, CrossFit Montpellier…et les futures salles française. C’est vraiment une affaire à suivre !